"The power of a young girl's passion, perseverance and determination and the effect of a family's support, love and commitment, are celebrated in this remarkable true story of an extraordinary individual. 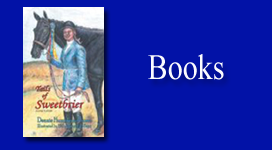 Deanie, pursued her dream with tenacity and persistence, and against many odds achieved success in the very demanding world of competitive horse shows. This wonderfully inspirational story begins with a challenge to young readers that would make it difficult for them to put the book down. 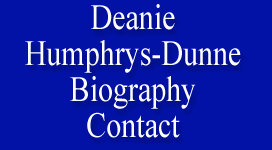 Deanie asks 'Have you ever really wanted to be able to do something, but you came across a roadblock of some kind?' and goes on to inquire 'Are you going to follow your dream, or are you going to push it aside without even trying?'" "The unforgettable characters teach life's valuable lessons, the rewards of hard work, and how to be a good sport. Follow Charlene and all her friends in a fun-filled adventure that captures the beauty within the characters that makes it all worthwhile as each page shines with love and trust. "CHARLENE THE STAR AND HATTIE'S HEROES" is as funny as FINDING NEMO, as entertaining as CHARLOTTE’S WEB, and as exciting as CHICKEN LITTLE."